John Paul Reddam (known as J. Paul Reddam) is a thoroughbred racehorse owner, an academic and a business man. He is known as the owner of two Kentucky Derby Champions. Moreover, he is a successful businessman, creating the company Ditech Funding (selling the company to General Motors in 1999) and a Ph.D graduate in philosophy. Paul Reddam was born July 28, 1955 in Windsor, Ontario. He graduated from the University of Windsor with a bachelor’s degree in psychology. He then obtained a master’s degree in philosophy from the University of Toronto. In 1979, he moved to California to earn his Ph.D. at the University of Southern California. His love for harness racing began when a friend got him a job as a groom at the Windsor Raceway. In 1988, he acquired his first Thoroughbred and began to expand his involvement to a current forty-horse racing stable plus twenty brood mares. 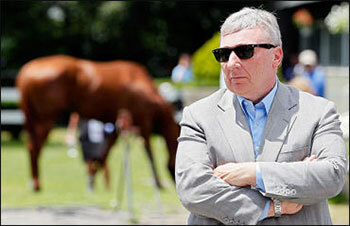 He is widely respected in the industry for his strong support of Thoroughbred racing. Reddam’s first major success came in 2004 with a win by 75%-owned Wilko in the Breeders’ Cup Juvenile. His success continued; he is the owner of two Kentucky Derby champions, ‘I’ll Have Another’ (winner in 2012) and ‘Nyquist’ (winner in 2016). CTV News. “Canadian-owned Nyquist Captures Kentucky Derby.” Last modified May 7, 2016. Globe and Mail. “The Millionaire Canadian Whose Triple Crown Dreams Were Dashed.” June 09, 2012. LA Times. “J. Paul Reddam is no longer just horsing around”. May 16, 2012. New York Times. “Nyquist’s Owner Has a Philosophy: Stay Grounded.” May 21, 2016.